With the ever-increasing focus on reading achievement in schools today, many districts are hiring literacy coaches to provide embedded professional learning opportunities for their teachers. Coaching holds great promise as a tool to increase teachers' content knowledge. It's an essential ingredient in educators' efforts to increase student achievement, and it has the potential to nurture a culture of academic focus by valuing current professional knowledge and extending and enhancing effective pedagogical practice. 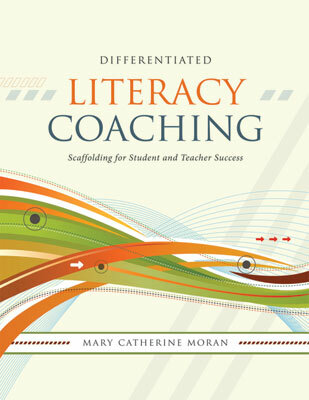 The use of literacy coaches is not without controversy, however, and there are a number of reasons for this, including uncertainty about the purpose of literacy coaching, multiple interpretations of the title and role of a literacy coach, and the varying qualifications of the individuals hired to provide the coaching support. Some educators perceive coaching as punitive—a remedial service for those who aren't teaching up to standard. Others view the coaching experience as evaluation under the guise of support or as directives in reflective disguise (the wolf in grandma's clothing). Still others consider coaching an unnecessary distraction from the daily business of teaching and suggest that coaches reserve their time for "teachers who really need it." Clearly, one job of a literacy coach is to help school staff grapple with the role itself. What is a literacy coach, and what exactly does one do? Without a defined role, coaches may hear comments along these lines: "I've been teaching for a long time. Why don't you spend time with the people who really need your help?" At a recent meeting I attended, one teacher even referred to coaching as an "expensive waste of time." I like this definition. It acknowledges the necessary qualifications of the literacy coach, addresses the ongoing nature of the position, and recognizes that an effective coach must be proactive and have experience working with adult learners. I won't presume to endorse a particular term for what coaches should be called, but I believe strongly that the purpose of a literacy coaching program and the roles of the coaches within that program must be thoughtfully considered and articulated before implementation. When a school considers adding the position of literacy coach to the roster, the first questions that should be discussed are "Why hire a literacy coach?" and "What is the goal of the position?" Often the coach is already on board, and the questions have yet to be asked, much less answered. When considering and constructing your own response to these key questions, you may find it helpful to review other coaching program policies. Consider the Collaborative Coaching and Learning (CCL) model, launched by the Boston Public Schools in 1996 under the leadership of Superintendent Thomas Payzant. In launching the model, the district's purpose was to reduce professional isolation and ensure the integration of research-based practice in classrooms. The CCL framework features a six-week cycle of inquiry focused on instructional strategies. Inquiry teams are composed of a content coach, teachers, and the principal. Additional support includes a weekly lab practicum during which the coach, teachers, and principal take turns teaching and afterward discuss their observations (pre-conference, demonstrations, debrief). Content coaches also visit individual classrooms to support the implementation of the instructional strategies. The four main components of the CCL model—classroom experience, reflection and inquiry, feedback, and theory—exemplify what Linda Darling-Hammond and Milbrey W. McLaughlin (1995) highlight as an essential feature of effective professional development: "It must engage teachers in the concrete tasks of teaching, assessment, observation, and reflection that illuminate the process of learning and development" (p. 598). Another model worth noting is the Arkansas Comprehensive Literacy Model, (ACLM), a partnership between the University of Arkansas at Little Rock, the Arkansas Department of Education, and Arkansas elementary schools. It features a schoolwide design for ensuring that all children achieve literacy proficiency by the end of 3rd grade. A planned extension of the ACLM to middle and high schools is in the pilot stage. Within the ACLM model, literacy coaching is 1 of 10 components identified as essential to the process, along with a curriculum for literacy, model classrooms, high standards, accountability, early intervention, professional development, a well-designed literacy plan, technology that includes networking opportunities, and the spotlighting of schools that are achieving high results. Coaches make sure that components of a K–3 reading program—including phonemic awareness, phonics, fluency, vocabulary, comprehension, and the writing process—are implemented with fidelity. Successful literacy programs such as Boston's Collaborative Coaching and Learning model and Arkansas's Comprehensive Literacy Model underscore the importance of having an identified purpose and clearly defined roles and responsibilities. After all, if the literacy coach or administrator is confused about the roles and responsibilities of the position, why should we be surprised when teachers fail to embrace the model with enthusiasm? If our coaching model is designated as an intervention for some rather than an opportunity for all, why should we be surprised when teachers see the program as corrective in nature? A report exploring the various roles and responsibilities of literacy coaches (Deussen, Coskie, Robinson, & Autio, 2007) may be a helpful document to consult as you wrestle with these determinations yourself. The authors analyzed Reading First data from five western states to determine how coaches allocated time, performed tasks, and described their responsibilities. As a result of their research, the authors classify coaches into five distinct groupings: "data-oriented, student-oriented, managerial, and two teacher-oriented categories, one that works largely with individual teachers and another that works with groups" (p. 4). Reviewing and reflecting on the distinctions between these definitions will be a helpful step in determining what you most value in terms of the role of literacy coaches in your model of professional learning. The primary goal of literacy coaching is to improve student learning. Meeting this goal requires an understanding of, and attention to, research on effective district, school, and teacher practices, including a guaranteed and viable curriculum and challenging goals and effective feedback (Marzano, 2003). Coaching should help establish a school culture that recognizes collaboration as an asset. Coaching should develop individual and group capacity to engage in creative problem solving and self-reflection. Coaching should provide a continuum of professional learning opportunities to support adults in their acquisition and use of specific knowledge, skills, and strategies. Let's examine each of these principles more closely. Teaching is an intellectually challenging vocation much too important and complex to do in isolation. In teaching, two (or more) heads are better than one. Part of this process of acculturation involves embracing the notion that learning is a social activity (Vygotsky, 1978) that requires community engagement for renewal. A few years ago, a teacher friend of mine decided to pursue a new career in counseling. Within a few years, she had completed a master's degree in counseling and begun part-time work at a local hospital. When I talked with her about the differences between professional learning in education and professional learning in the medical field, she described an ongoing process of staff support at her clinic called "case review." In essence, this process involved each counselor taking turns to share a case study and then having guided conversations with peers about the information presented. The same process would be very helpful in her school setting, she said, because it would provide an opportunity for the clinician (teacher) to thoughtfully consider a client (student), to review the care (instruction) provided to date, and to summarize the data she had collected to present to her colleagues for the consideration of next steps. By developing individual and group capacity to engage in creative problem solving and self-reflection, faculty members are better able to approach teaching as a series of challenges we respond to, rather than a series of challenges we react to. This renewable form of collaborative energy also provides for authentic and ongoing evaluation to inform and refine subsequent practice in our teaching and our professional learning. As any new educator (or seasoned educator in a new situation) knows, reacting is all too common. For me, the term react conjures up memories of classroom occurrences that would just happen out of the blue, without any foresight on my part. Some days it seemed that all I could do was deal with situations as they happened, take a deep breath, and do the very same thing the next day. Everything was new. As a consequence, I didn't have the resiliency to forecast and prepare for any eventualities, let alone all of them. Of course, not even those of us who have years of experience and professional learning under our belts can be prepared for everything. I can say, though, that after nearly 30 years of teaching and learning, my adaptive reflexes are more instinctive; judicious response has largely replaced reaction. This doesn't mean that I don't still have wholly reactive moments. However, I recover from them much more quickly than I once did. Gone are the days of menu shopping for workshop flavors of the month: "Please check the box next to the topic that holds the most interest for YOU." We now understand more clearly that our needs as teachers are met when we have the professional capacity to meet the needs of our students. We know that we can make better decisions if we have a comprehensive understanding of research and undertake a collaborative review of the data. As Mike Schmoker (1999) noted, "Data are to goals what signposts are to travelers; data are not end points, but are essential to reaching them—the signposts on the road to school improvement" (p. 36). When determining what data we need to consider in our collaborative review and analysis, it helps to have a conceptual framework to guide us. I use one developed by the Southern California Comprehensive Center's Reading Success Network, which categorizes data into three types: outcome, demographic, and process. Outcome data describe how a student or a group of students is doing at a particular point in time. They provide a way to communicate the acquisition of skills, knowledge, and attitudes. Examples of outcome data include tests (e.g., teacher-developed, state, and national), teacher observations, classroom work, portfolios, and interviews. Demographic data provide information that can improve our understanding of our students and their unique needs. Examples of demographic data include gender, language proficiency, attendance records, mobility rates, and family configuration. Process data emerge from efforts to promote student achievement and include variables that educators have some control over, such as interventions, textbooks, professional development initiatives, assessment practices, teacher experience, special programs, and our expectations for students. A critical aspect of any comprehensive discussion of data is how we plan to apply research-based knowledge about best practice when working with our own students. With the three essential principles of coaching in mind, I want to turn to the question of an individual coaching program's objectives: What are the skills and proficiencies that the coaching aims to help teachers acquire? What is the specific instructional and curricular content they will be asked to implement in an effort to improve their students' achievement? Deciding on a focus requires a great deal of finesse. How individuals interpret data is influenced by personal perspective and experience. While I might interpret errors in oral reading as a child's over-reliance on context clues, another teacher might ascribe it to the child's difficulty recognizing specific letter combinations. False beliefs or hunches about specific students or groups of students are more likely to be challenged through the collective lens of collaborative discussion. This is important because our decisions about appropriate instruction and interventions are guided by our discussions about root cause. In a four-year case study focusing on data use in five low-performing urban high schools, Lachat and Smith (2005) found that collaborative inquiry on data use organized around a series of guided questions "is a potent strategy for building staff skills and keeping the focus on student learning and achievement" (p. 343). They also found that literacy coaches were instrumental in providing follow-up assistance to various data users in the schools, and in motivating teachers to use data to inform instructional decisions. The value of collaboration in data discussions does not diminish with experience. Even as a veteran educator, I rely on the insights and experiences of my colleagues to negotiate my review of outcomes. I consider any contradiction of my interpretations an asset that will help me to round out my picture of what happened (both positive and negative), why it happened, and what I can do about it the next time around. For this reason, the collection and collaborative analysis of data should be an ongoing component of a coaching program. As noted in The Secretary's Fourth Annual Report on Teacher Quality (Westat, 2005), "teachers need the skills to organize, describe, and interpret data" (p. 11). Coaches are in a position to facilitate the ongoing collection and subsequent discussion of the pieces of the data puzzle so that decisions about program focus can be made in full awareness of what students can and can't do and which instructional approaches and curricular emphases, according to the research on literacy and learning, are most likely to be effective. Revisiting instructional decisions and coaching objectives on a regular basis helps program participants monitor, refine, and modify practices in light of any new information. This accretion of knowledge supports better instructional planning for students. Please note that to expedite and ensure the regular collection and analysis of data, it's a good idea to establish consistency of practice throughout the coaching program. The data collection and analysis process should include assessing the effectiveness of the professional learning activities and the instructional interventions applied in the classroom in terms of their subsequent impact on student achievement. Elsewhere in their book, Joyce and Showers provide concrete examples of how to measure the effectiveness of professional learning and optimize potential for growth in student achievement. Do the students understand the purpose of the fluency training and how the process will improve their reading? Did the teacher effectively pre-teach the routine to the students? Were the reading passages the teacher selected effective, or should alternative materials be considered? Did this explicit instruction result in an increase in comprehension? It's not feasible for a literacy coach to focus on teaching every teacher the discrete skills necessary to use every instructional tool available; a better plan is to facilitate teachers' deliberate and careful consideration of what they do and why they do it. Over time, this integration of reflection will generalize to other instructional routines, tools, and content that teachers may choose to incorporate into their classroom. Joyce and Showers (2002) agree. They suggest that "a faculty is much better positioned to change something if it can focus on a top priority in a way that simultaneously acknowledges both the presence and importance of everything on the list and the near impossibility of addressing all of them effectively at one time" (p. 5). Catherine Snow, Peg Griffin, and M. Susan Burns (2005) offer professional learning recommendations specific to the development of literacy educators in their book Knowledge to Support the Teaching of Reading: Preparing Teachers for a Changing World. These authors discuss growth in expertise in the context of a teacher's career, from novice to seasoned professional. They consider the knowledge base and effective implementation of literacy practices in the context of changes that occur over time through the lens of adult learning theory. They articulate levels of increasing progressive differentiation of knowledge, correlated with points in a teacher's career evolution. Joyce and Showers (2002) articulate a similar understanding of the developmental and progressive nature of skill development in their "levels of transfer" (p. 102). See Figure 1.1 for a comparison of these two developmental continuums. The teacher performs an exact replication of lessons demonstrated in training settings. The teacher can answer questions on a test about what to do in a classroom under certain circumstances. The teacher may use the same practice in another activity, but types of implementation show little variation. The teacher knows what to do in a classroom under certain (and predictable) circumstances and with support from a master teacher. The teacher can identify specific models of teaching with certain activities, types of lessons, and objectives. The teacher can plan, implement, and monitor the instruction under "normal circumstances." The teacher understands how a concept or strategy can be used in other areas of application. The teacher can respond to a full array of instructional challenges under a variety of circumstances. The teacher shows a complete understanding and comfort level with the theories underlying various models of learning. As a consequence, the teacher is able to select specific models and combinations of models for objectives within a unit and across subject areas. The teacher has enough experience to analyze, evaluate, and make choices about instruction and assessment under varying circumstances with a wide range of students. The usable knowledge that teachers need at various junctures and the considerations of what scaffolds of support should be provided to maximize learning at each level have far-reaching implications for the literacy coach and teachers. The information in Figure 1.1 provides a good start for collaborative discussion. A second key consideration is the scope of the literacy coaching program: Who will receive coaching? The entire staff? Certain teachers only? Program funding and resources usually factor in this decision about scope. To make the most of limited coaching resources, some schools identify specific grade levels for coaching support, an approach that naturally limits the number of teachers that a coach is assigned to work with. Other schools opt to target particular teachers for coaching. Too often, determining who will and who will not receive coaching relies on a deficit-style model built on identifying which teachers have problems that must be remediated in order for children to learn. It's true that this kind of targeted approach may help to address an administrative challenge by reducing the number of teachers that a coach must work with. However, if staff members come to see the coaching program as an intervention for some rather than an opportunity for all, there can be negative reverberations for the entire school community. This sets up a scenario in which teachers are reluctant to ask for support and guidance and begin to view professional learning opportunities as punitive. A better solution is to limit the focus of the coaching program to a strategic set of objectives and to provide a continuum of customized professional learning opportunities to meet the varied needs of teachers. Via the continuum, the coach can play a direct role in the learning opportunities or facilitate these through shared leadership. A continuum of coaching makes it possible to provide precisely what professionals need to evolve in their practice—a "just right" combination of challenging and respectful learning opportunities that the teachers themselves had a hand in creating. This option represents a more sensible allocation of coaching time and energy, avoiding the one-size-fits-all mentality that shapes so much professional development. The Literacy Coaching Continuum (see Figure 1.2) is a structure for the kind of participatory professional learning that integrates fundamentals of adult education theory, provides scaffolds according to the needs of individual teachers, and respects and builds on the knowledge that teachers bring to the table. It is a conceptual framework for organizing, managing, assessing, and sharing information about literacy coaching efforts. As shown in Figure 1.3, the continuum presents eight differentiated learning formats for coaching: (1) collaborative resource management, (2) literacy content presentations, (3) focused classroom visits, (4) coplanning, (5) study groups, (6) demonstration lessons, (7) peer coaching, and (8) coteaching. It assumes that there is a progression in the intensity of learning supports that are necessary to sustain a teacher's efforts to become a more reflective practitioner. For example, the scaffolding provided in resource management (at one end of the continuum) is far less intrusive than the assistance that would be apparent in coteaching (at the other end of the continuum). The literacy coach works with teachers to become familiar with and tap into available resources. This is an opportunity for rich conversation about instruction, grouping, and differentiated instruction. The literacy coach provides content knowledge and fosters collaboration. This format ensures that all teachers are on the same page in terms of information, procedures, best practice, and other matters. The literacy coach provides teachers the opportunity to observe a particular teaching method, learn how other teachers organize for instruction, and develop an understanding of what is expected at other grade levels. Teachers work together to review current data and plan instruction. This might include discussion on grouping options, assessment results, and specific lesson planning. A group of educators meets on a regular basis to discuss issues relevant to their teaching. The range of study group options includes job-alike, book study, and action research. The literacy coach demonstrates particular teaching methods to teachers who are less familiar with these methods or less confident about using them. This is the traditional coaching model whereby the literacy coach observes the classroom teacher and provides feedback during a debriefing session. The classroom teacher and the literacy coach plan a lesson together and share responsibility for the lesson's implementation and follow-up. Source: Developed by M. C. Moran and Elizabeth Powers. Let me put the word intrusive in context. I use this term to indicate the extent of the coach's involvement in the actual teaching routine and the potential impact of that involvement on a teacher's sense of comfort. A coach who is working with a teacher on resource management will have less direct involvement in the teaching of a lesson than will one who is coteaching a lesson. Therefore, resource management is less intrusive than coteaching. The Literacy Coaching Continuum's differentiated formats of professional learning acknowledge that teachers are individuals who need and want various kinds of support depending upon content, circumstances, personal experience, and timing. Gersten, Morvant, and Brengelman (1995) use a telling description of this notion in the title of an article published in Exceptional Children: "Close to the Classroom Is Close to the Bone: Coaching as a Means to Translate Research into Classroom Practice." These authors studied coaching as a way to translate research into classroom practice and found that teachers felt anxiety when change efforts involved an observation and coaching process. This reaction was especially evident with inexperienced teachers, although even veteran educators reported being nervous when another adult spent time in their classroom. The closer coaching gets to day-to-day classroom reality, the more likely it will be "close to the bone"—near those sensitive areas of practice that affect a teacher's sense of self-esteem and professional standing. The design of the Literacy Coaching Continuum is not intended to suggest that the scaffolds or formats are strictly linear (moving from one to the next without recursive intent). It does imply gradients in terms of support provided and the level of self-reflection required in each format. The visual representation of the continuum is intended to encourage conscious decision making about which coaching format will be the best fit for a particular teacher or group of teachers. From the array of tools the continuum offers, the coach and teachers must deliberately select the right tool for the job. Articulating a specific format of professional learning enables coaches to design evaluation schemes to measure effectiveness and raises their awareness of the personal and professional needs of the staff members they are working with. The Literacy Coaching Continuum also allows for various points of entry for individual teachers, depending on their needs, skill level, and identified professional learning goals. The model assumes that a trusting relationship exists between the teacher and the coach, and that they collaborate in making any decisions regarding the best match between the need and the coaching format chosen. For example, a teacher who is being introduced to a new practice might feel that it is best to begin with resource management, content presentations, and focused classroom visits, so that he can become comfortable with the practice, understand the rationale for it, and see the practice implemented with fidelity. The coach initiates two study groups and then turns leadership over to the teachers. Group 1 studies the book Strategies That Work (Harvey & Goudvis, 2000). Group 2 works on a scheme to evaluate instruction on a strategy for text comprehension. Explicit description of the strategy (when and how it should be used). Teacher or student modeling of the strategy in action. Collaborative use of the strategy in action. The coach gives demonstration lessons of the text comprehension strategy (questioning). The coach works with three teachers on collaborative resource management (choosing texts for comprehension strategy instruction, making classroom charts on these strategies). After the first meeting, the teachers take on the task. At a staff meeting, the teachers will share the lists of books they have generated for strategy instruction and give each teacher a set of strategy posters. Five teachers plan a focused classroom visit to the classroom of a teacher at a neighboring school who has implemented instruction in the strategy for two years. Some teachers are coplanning a series of lessons to align writing instruction with language arts. They invite the coach to coteach a lesson. This lesson will be videotaped for later review by the team. The focus question is "How do the strategies support writing instruction?" Peer coaching takes place in classrooms where teachers are trying out instruction on the strategy for text comprehension. Obviously, this well-oiled differentiation is atypical in the initial days of implementation, but rest assured that it can happen. I've heard many coaches just getting a program under way lament that teachers weren't using their services, only to hear, a year later, that they can't keep up with the requests for collaboration. This is a good time to point out that the coaching formats of the continuum are offered as tools to be selected judiciously. I'm not challenging any literacy coach to juggle all of the formats at once; rather, I hope that literacy coaches and the teachers and school leaders with whom they work will engage in discussions about the best "fit" for the professional learning needs that have emerged from a thorough review of student data. Less is often more than enough. Communication plays a major role in coaching. Although the role of the coach may shift according to the format used, communication skills are always the underpinning of an effective working relationship between the coach and the teachers. Whether the coach is facilitating a study group, demonstrating a lesson, or observing a teacher's practice, the hallmark of the interaction is the communication skills that the coach and the teachers bring to the table. To echo Wellman and Lipton (2004), this set of skills includes building and maintaining trust, pausing and paraphrasing, conscious use of thoughtful questions, presuming positive presuppositions, and pursuing a balance between advocacy and inquiry. Among the many other books on communication skills that are useful for literacy coaches beginning new programs (or interested in enhancing existing ones), there are two I recommend particularly: Instructional Coaching: A Partnership Approach to Improving Instruction (2007) by M. James Knight, and Literacy Coaching: Developing Effective Teachers Through Instructional Dialogue (2006) by Marilyn Duncan. In the chapters that follow, I explore the research base for coaching, describe the various facets of the Literacy Coaching Continuum, and offer professional learning tools and activities that can prepare and sustain literacy coaches in their challenging role. In April 2007, I was fortunate to spend a few days at W. H. Horton School in Newark, New Jersey. There, I had the pleasure of meeting with the literacy coach, math coach, inclusion specialist, and lead science teacher. Their collaborative partnership, supported by a very able administrative team, highlighted the positive power of a respectful and focused coaching program. The team focuses on common goals and objectives (comprehension strategy instruction) that are linked to learning standards. They recognize and celebrate strengths, while offering alternative approaches to meeting the challenges of teaching. They exemplify the proactive stance that "we are in this together" and, as a consequence, actively model and encourage creative problem solving and self-reflection through a variety of structured learning opportunities (vertical and horizontal team meetings to share content information, review lessons, and analyze student data were a few formats that I observed during my visit). I observed teachers reporting examples of their own implementation of comprehension strategy lessons, sharing data on student impact, and discussing modification they might make to improve their instruction. It was a striking reminder of the benefits of a thoughtful, consistent, and inclusive coaching program. In the following vignette, you will read a detailed description of one coach's rendition of "a thoughtful, consistent, and inclusive coaching program." Standing "on the balcony" on a regular basis can help literacy coaches get a clear and comprehensive view of their own professional learning efforts. If you are a literacy coach, consider writing your own coaching story as a way to help you gather your own evidence of collaboration. Professional development workshops centered on a common vision. Observation by the literacy coach of the classroom teacher. Direct consultation with the individual teacher to review strengths and needs, and then outlining a course of action of steps to be taken, from my perspective, for refining classroom practice. Demonstrating the techniques previously outlined with the children as the teacher observes. Reflective consultative conversation with the individual teacher to debrief on the implementation of the literacy engagements. The development of literacy engagements collaboratively centered on the agreed-upon goals. Implementation of the lesson by the classroom teacher while the literacy coach observes. Postconsultative conversation with the individual teacher to reflect on the delivery of the lesson, provide feedback, and create a time line for sustained growth. At the school where I am the literacy facilitator, professional development opportunities are provided for teachers, literacy tutors, and other support personnel over the course of the school year so that all of us have a common thread of experience. During the last four years, I have used this model of literacy coaching with varying degrees of success with both seasoned veterans and teachers in their first years as professionals. The individual steps taken vary depending on the direction that each teacher wishes to take. Lindsay Fries, a 2nd grade teacher in her first years of teaching, requested additional support as she implemented small-group guided reading engagements for her students. I asked her what she felt she was doing well before we talked about what she needed in order to grow as a teacher. Lindsay felt that she had the classroom management aspect of her teaching down, with students working in centers as she met with individual groups, and she was pretty sure that the students were appropriately grouped based on the available data. Having observed her teaching on numerous occasions, I agreed. Lindsay then went on to say that the structure and content of the small-group instructional focus needed to be strengthened, based on her own reflection as well as a formative observation by the building administrator. Together, we mapped out a time line that included the selection of appropriate texts for her groupings and times when I could demonstrate the structure of small-group instructional guided reading groups, as well as provide a lesson plan format for teaching directly the skills and strategies that each text provided. The next step was the actual instructional implementation within the small group, with Lindsay by my side. I explained to the students that I would stop periodically and explain to their teacher what I was doing; in much the same way that they were learners, we teachers continue to learn as well. This "adult teaching time" in the act of instruction opens the door for questions based on what unfolds and, from my perspective, is extremely important for further inquiry into teacher-generated learning. After these guided demonstration lessons, follow-up via ongoing conversations, collaborative planning sessions, and continued support are needed for sustained growth of teachers' curricular development over time.